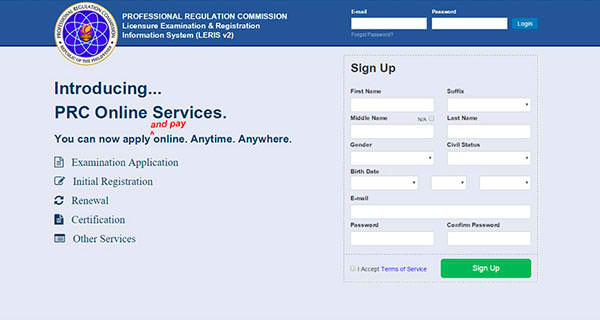 PRC Developer blatantly copied Facebook Design for "Online Service" Website - Exam News, Reviewer, Military Career, & Everything [MN] . . The online community slams the Professional Regulation Commission (PRC) of allegedly copying the Facebook design for the newly launched " Online Service" website. Pinoy Screencast founder Randolph Novino publicly posted on his Facebook page a screenshot of the PRC “Online Services” website log-in and registration page which apparently not hard to recognize as FB copycats. According to Zeibiz post, one commenter, who registered to the site, claimed that the inside is also similar to Facebook — having the same timeline and cover photo features. seriously???? sobrang inspired naman sa Facebook ang PRC LOL! As of this posting, the developer of the controversial ‘Online Services’ website (http://www.prc-online.com/) updated the color from blue to orange with a video presentation embedded on the login page. Generally, according to experts copying the design of a website could get you in trouble on two fronts, both aspects, no surprise, of intellectual property: copyright and trademark[Matthew Haugen].